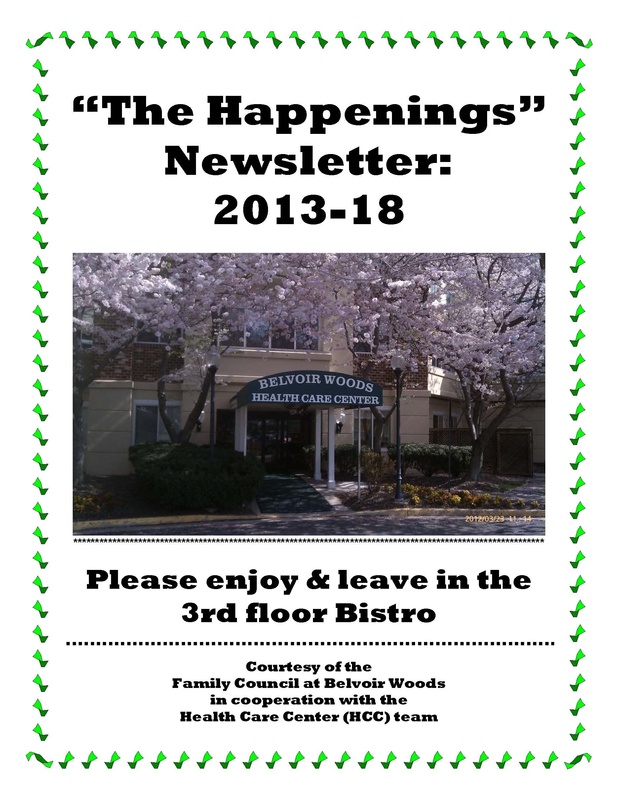 Since 2013, we have collaborated with the Activities Department on a monthly newsletter to provide articles about HCC residents and programs which are relevant and impactful to residents and their families. We purchased 8 green binders, available throughout the HCC and The Fairfax, which contain the printed version of the THE HAPPENINGS newsletter. Click below for the most current newsletter. We care about the residents and volunteers well being and we will make you feel comfortable in your situation and help you in your times of need. We work with Wreaths Across America during the holidays, remembering and honoring BWHCC residents who passed during the year.